I was missing two keyboard shortcuts that are in Xfce, Openbox, i3 and other desktops. CTRL + SHIFT + ESC opens up a taskmanager. Plasma calls it ksysguard. 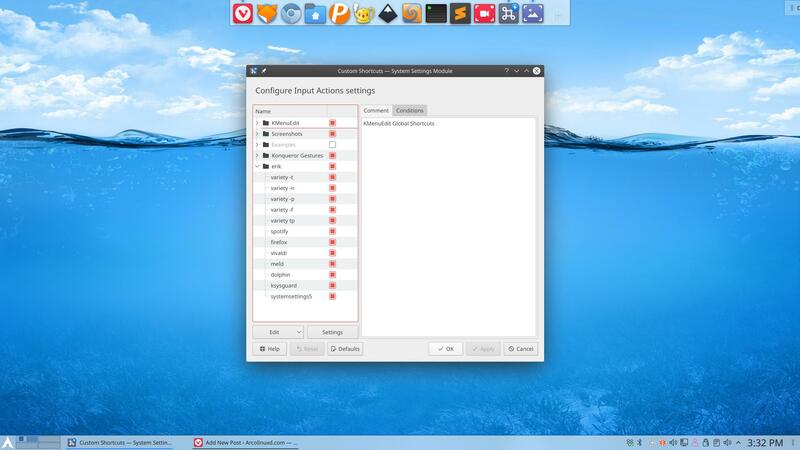 CTRL + ALT + M opens up the Xfce settings manager. I want this shortcut to open up Plasma settings or systemsettings5. Let us make the shortcuts.